The price of oil has rocketed recently which has had a knock on effect for all fuel prices including gas, electricity and petrol. Seeing your monthly bills rise steeply can be difficult when you are on a fixed budget so any savings you make will be helpful. Making changes to your house so it conserves heat better is a good start, as is making sure you are on the cheapest plan. Think about turning things off so you are saving electricity and consider the way you drive your car to use less petrol. 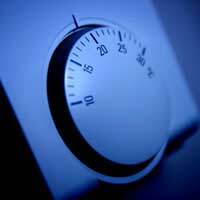 The more heat you can conserve in your home, the less gas you will need to use to heat it. Although there is an initial cost, it will be worth the saving that you make. Check that your windows are double glazed so that the house isn’t getting colder than it needs to. Then look into insulating your loft and your wall cavities. The government are offering assistance to low income families to help with these changes. There are so many different energy suppliers out there offering various plans that it can be difficult to know who could save you money. The best thing to do is to visit a comparison site that will look at your circumstances and show you the prices for all the big providers. It may also be worth capping your plan if you are concerned that prices may rise more and you would be unable to afford it. Your mum has probably been telling to switch the lights off for years but the small savings add up and can make a difference to your fuel bills. Leaving appliances such as TVs on standby eats up a lot of electricity so always switch them off at the plug. When you leave a room, switch off the light and also think about changing to energy saving light bulbs. Also, if you are going to use the dishwasher or washing machine, make sure you have a full load so you are getting the most for your money. As well as your household energy bills, fuel prices have also made petrol much more expensive. There are a few ways to save money at the pumps. Firstly, find out which petrol station in your area offers the cheapest rate and take advantage of any supermarket vouchers. Then, think about how your drive your car. Try to stick to a steady speed without too many gear changes and make sure there is nothing unnecessary weighing your car down. Unfortunately there is not much that you can do about the rise on fuel prices. However, you can take control of your home to try and cut your bills down and make savings. Make sure that you have double glazing and that your home is well insulated. Switch to energy saving lightbulbs and turn appliances off at the plug to save money. Find out whether you are on the best energy plan and which petrol station is offering the cheapest petrol. All these small savings will add up and help give you a bit more spare money at the end of the month.